Lithuania's natural gas transmission company Amber Grid on Wednesday called an international tender for the purchase of steel pipes for the Gas Interconnection Poland–Lithuania (GIPL), reports LETA/BNS. The tender announced on Lithuanian and European public procurement systems. Suppliers can submit their offers until Aug. 24 and the contract with a contractor will be signed for the period of 38 months. 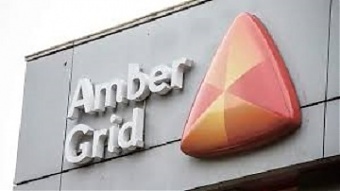 Amber Grid called a tender for a GIPL contractor in early June. The GIPL construction in Lithuania should start early next year, Amber Grid CEO Saulius Bilys said in early June. Around the same work should start in Poland as well. Amber Grid and its Polish partner, Gaz-System, in late May signed a grid connection agreement, the final agreement needed for starting construction. It was estimated earlier that the GIPL project would cost almost 560 mln euros in total, including 136 million euros in Lithuania where 165 kilometers of the pipeline are to be located. The project's scheduled completion date has been pushed back by two years and a half to late 2021.